Well, this one was quite different from anything I've ever tried before. 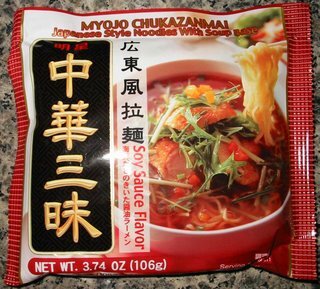 I suspect this is what Japanese instant ramen is really intended to be, but I can't say for sure since I've never been to Japan. 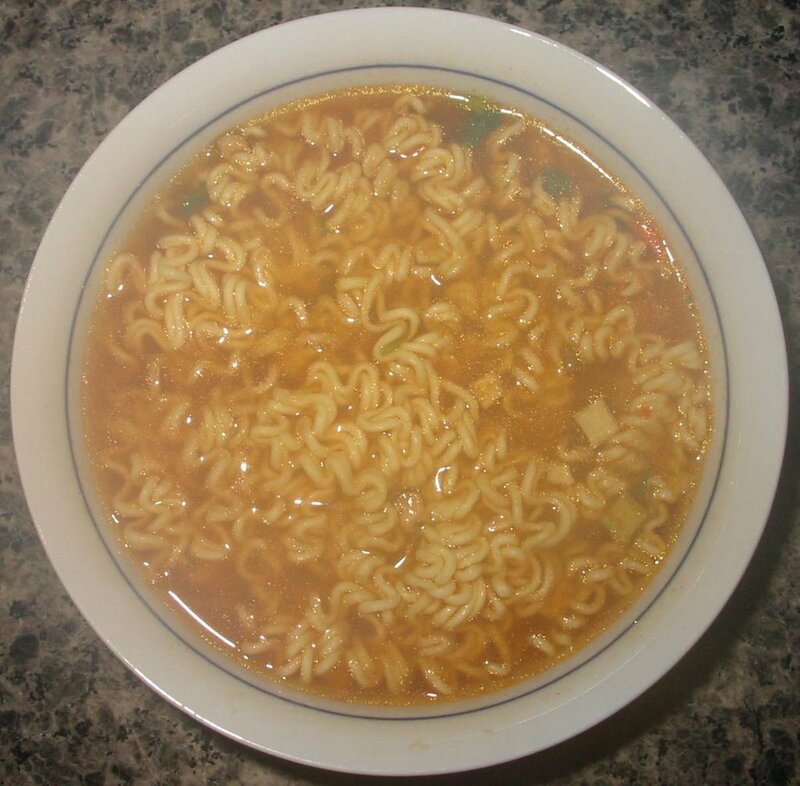 But I suspect Nissin is a bastardized and mass produced version of what the Japanese consider instant ramen. 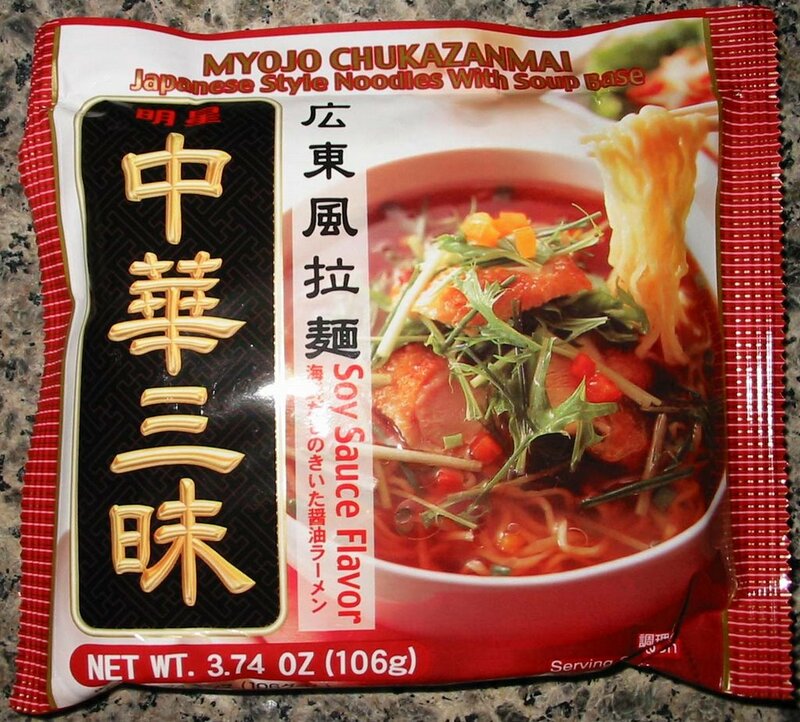 The packaging here is noticably different than the usual instant noodles. The Myojo Chukazanimai comes in a thin and flat package. As I opened it, I was definitely expecting something different than the usual experience. 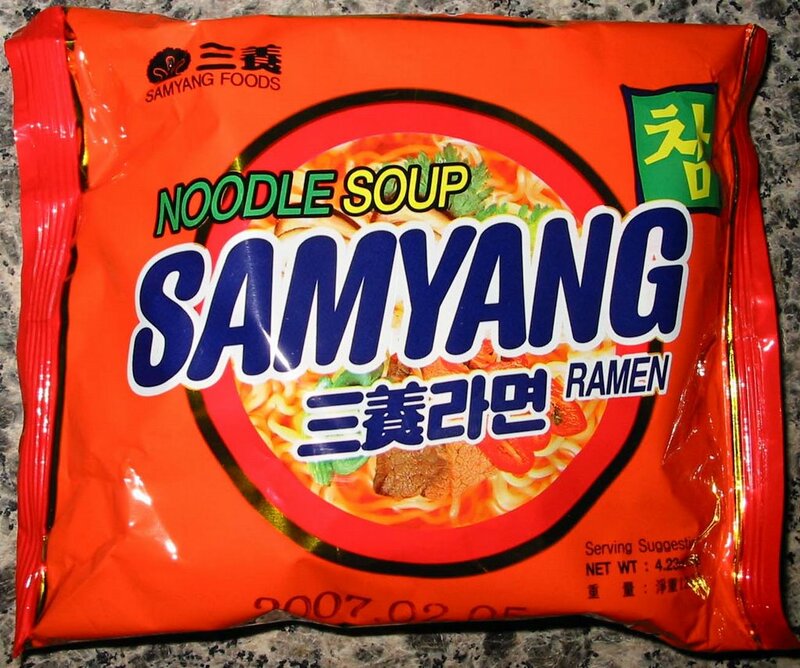 The biggest difference between this one and other instant ramen is in the noodle quality. Myojo Chukazanimai's noodles were much chewier and flavorful then the usual fare. 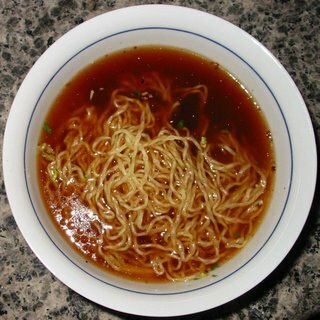 In fact, they reminded me quite a lot of the fresh ramen I have had at various restaurants...which is a good thing, of course. The soup had strong flavors of soy sauce and onion. There was a slight hint of sesame oil as well. 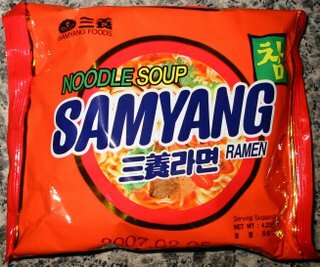 I felt like the soup's flavor was too strong, but I know a lot of ramen restaurants serve soup that is just as strong as this stuff. This was the closest approximation I have ever had to the fresh ramen that is served in a restaurant. So if you like that kind, you will probably like this kind too!